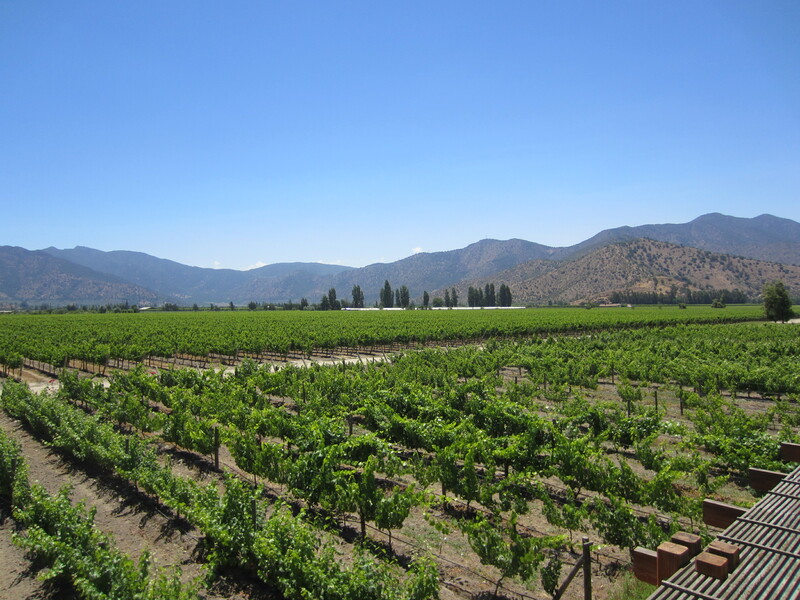 The first region I drove through was the Curico Valley, south of Colchagua. It is technically part of the Maule Valley, but from my perspective I found it indistinct from Colchagua; very flat and very warm. I called into the Valdivieso winery in the hopes of catching up with New Zealand winemaker Brett Jackson, but unfortunately he was busy all day. The following day I drove around parts of the Maule region, which had some interesting elevation towards the coast. I attempted to find the J. Bouchon winery but missed a turn and had to go back to Talca as I was running low on fuel. The third region I drove through was Cachapoal, which is a little further North than Colchagua and closer to the Andes. Again, there didn’t seem to be huge difference between this and other regions nearby. A dropped past Casa Silva and also Altair in the hopes of at least having a look, and that’s all I got from outside the gate. 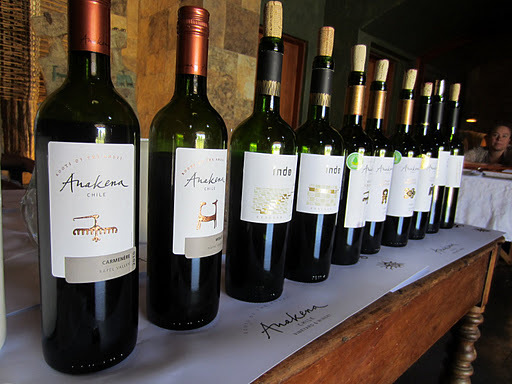 It was a shame… I was lucky that one winery was open in Cachapoal, which was Anakena. A recent development by a wealthy individual (who owns Lider supermarkets), it is a gorgeous estate that looks up at the Andes mountains. There are several ranges of wines produced here, all very good value (a running theme in Chile). Fruit is sourced from several vineyards in different regions, designed to be the best for each variety. Click here to read my tasting notes. Click here to see a few more photos from the Cachapoal Valley. I was lucky to get the chance to meet with Julio Bouchon Jnr. when I was back in Santiago, to talk about the winery and taste a few wines. Although there is significant land dedicated to wine in the Maule (it produces more fruit than any other region), there are few wineries located there, and even fewer premium ones. Julio Bouchon, after spending many years in Cachapoal at Casa Silva and studying in Bordeaux, found a place in the Maule Valley which had immense potential to make premium wines, and thus J. Bouchon was born in the late ’70s. Modernisation was the key objective, particularly as the Maule was a much more traditional region than others in Chile. Taking a lot of the collected knowledge of viticulture and winemaking from places like Australia, they designed a modern winery and vineyard system. J. Bouchon were actually one of the first modern wineries in Chile, as most of them didn’t modernise until the late ’80s. Julio Bouchon is an icon of wine in Chile, and he seemed lovely when I met him briefly.